A week can do a lot. A week ago I added all the JRPGs I want to play to a calendar and picked out all the ones I intended to play. I had a small dilemma with March as there were three games I was interested in - Atelier Firis, Kingdom Hearts 1.5/2.5 HD and the main topic of this post: NieR Automata. Initially, I had decided I'd finally give the Atelier series a try since I loved one of Gust’s other games called Ar nosurge. Then NieR Automata came along and put its foot down with a PR push that completely worked on me. 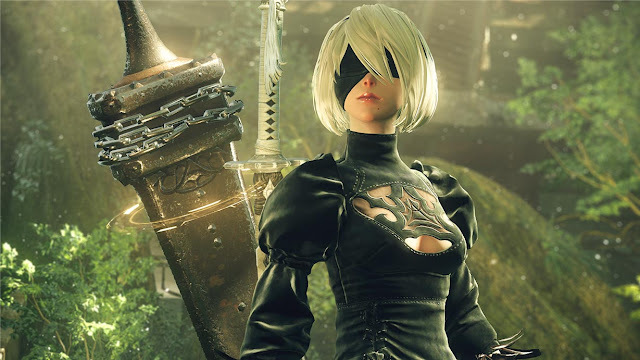 Its killer trailer, recent interviews and exclusive videos have showed off some really awesome parts of NieR, moving it from my ‘maybe later’ list into my personal must-have JRPG for March. Here are a few things that have gotten me totally excited for NieR while I do my best to wait for upcoming release. Feel free to watch the video version of this article! 2B is a pretty notable character in all of NieR Automata’s trailers. Aside from being the main character of Automata, her cool demeanour and aesthetic are unlike most JRPG characters, especially of the female protagonist variety. But a big part of what made me more curious about 2B were her interactions with 9S. 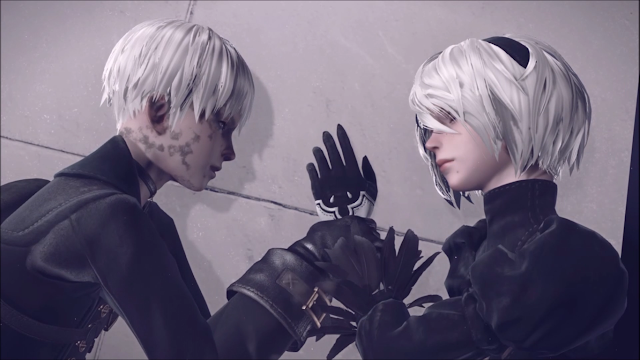 9S is described as more emotional than the other androids and the recent ‘Glory to Mankind’ trailer, the moment where he reaches out for another character’s hand touched my sappy little heart. Honestly, what's not to love about the premise of a sweet-looking boy that's also an emotional android? I'm really curious to see their characters develop and what 9S and 2B’s relationship will be in the story. 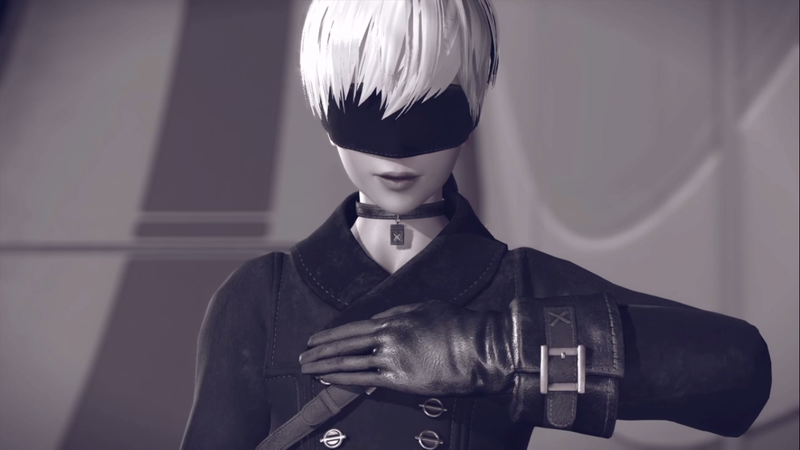 9S and 2B aren't the only cool looking characters in Automata. There are the sinister twin-looking guys and the prototype A2 that look they'll be around to shake the story up however. 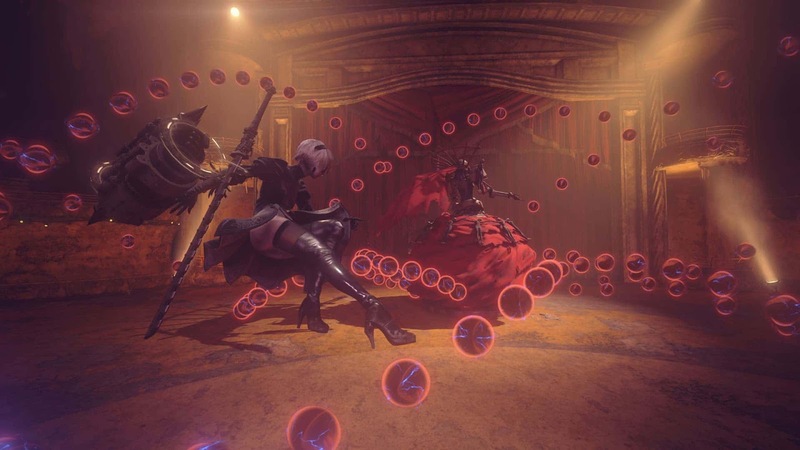 Whatever they have in store, I hope Automata's character's are as interesting as they seem so far. I don't know about you, but the idea of playing in a machine war set on post-apocalyptic Earth androids was enough to make me at the very least download NieR’s demo. In fact, the idea of an evacuated Earth is part of the reason I bought the original NieR years ago when I was working in an electronic store, but it never quite made it into my console. The combination of the abandoned Earth premise and the interesting android characters coming to save it is something I want to learn more about and is definitely an intriguing concept. Another half of the reason I bought the original NieR was because I heard the soundtrack was brilliant. I've written about how much I love music in JRPGs before and the track from NieR Gestalt in Final Fantasy XV was good enough to make me find the repeat button to keep listening to it. The trailer music for NieR Automata has already been really cool and I hope that it's a great soundtrack to run around the pretty looking world with. Speaking of the world, when watching the PlayStation Underground’s preview of Automata I became really excited about it. I had no idea that Automata was going to be set in a gorgeous open world with plenty of quests to do until that preview and made me all the more keen to play it. Now, I have a Final Fantasy XV addiction that I'm not quite willing to give up yet but I also don't mind at all that NieR Automata could threaten that. I really hope the quests are fun and it's an unique environment to explore with its lack of inhabitation. Judging from the PlayStation Underground footage, it looks pretty freaking cool. 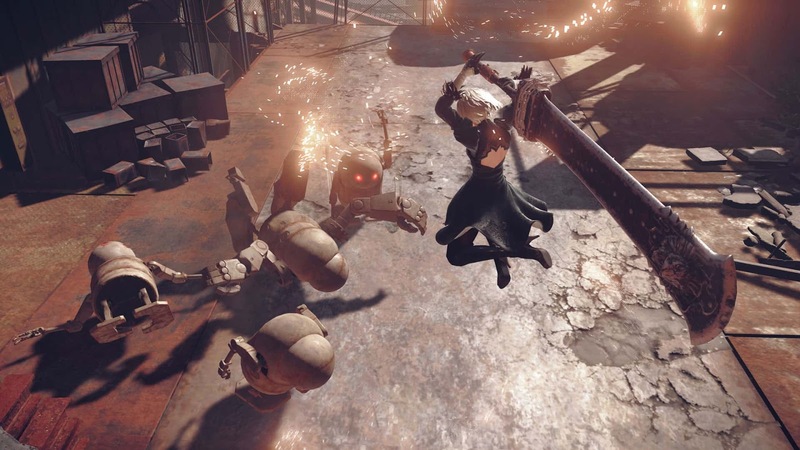 As I wrote about in my TGS 2016 post, NieR Automata’s dynamic trailers are what made me want to sit down and pay attention to what Automata is all about. Whether it be the yelling and flashes of dynamic cutscenes in the TGS trailer or the thought-provoking lines in the recent Glory to Mankind one, NieR’s trailers are all striking thanks to its unique aesthetic and have made me more intrigued every time. I love all of them, but my favourite is probably still the TGS trailer with the heated discussion and flashes of strange footage. It’s a really memorable trailer and NieR Automata has definitely made all of its trailers standout somehow. If NieR Automata is even half as great as it looks, I'll probably be pretty happy when I play it. So far it’s shown just the right amount of footage to get me excited and I hope there’s a lot more to excite me when it’s finally out. I'll definitely be picking up NieR Automata in March and I hope the next time I talk about NieR, it's about how great it really was. Are you going to pick up NieR Automata? What March JRPGs are you excited for?